Diamanti, a container infrastructure company backed by Goldman Sachs and other major VCs, recently commissioned a survey of more than 135 channel partners on the state of containers in their industry. 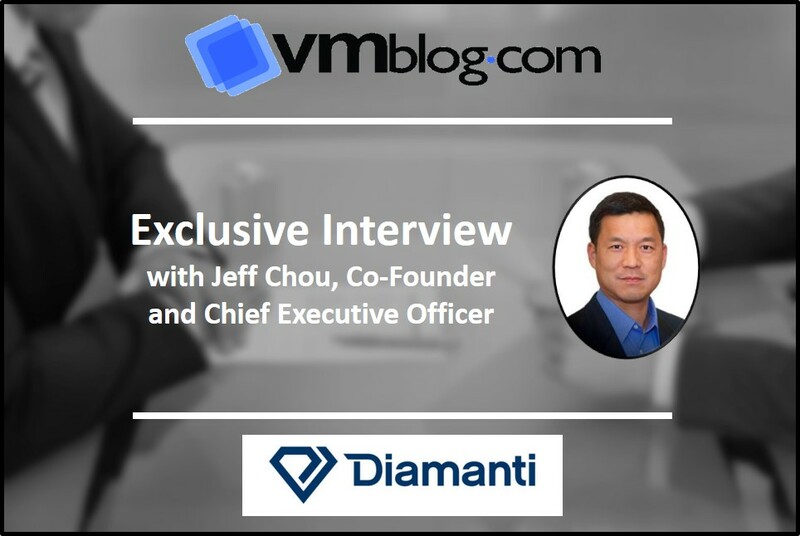 To get some context on the findings, I recently spoke to Diamanti CEO Jeff Chou. VMblog: I think this is the first survey I have seen about the channel perspective on containers vs VMs. What did you think were the key insights? Jeff Chou: It's clearly still early days when it comes to all things containers. And yet, the survey finds two-thirds of solution providers are already employing Docker containers on behalf of their customers. Just under half are also making use of Kubernetes, which has emerged as a de-facto standard for orchestrating and managing containers. At the same time, only 17 percent of solution providers today say they expect containers to be deployed on bare-metal servers. And yet, 35 percent noted they expect containers to be deployed on everything from public clouds to bare-metal servers. While that platform uncertainty may not be surprising given the relative immaturity of containers, it's worth exploring how 2018 will likely be the year we see exponential growth in the number of organizations deploying containers. We think it's a great opportunity for channel partners to help customers realize the benefits of containers on bare metal. And we offer a solution to help resellers and systems integrators get their customers up and running containers in production at scale in minutes compared to months with DIY. VMblog: What are the benefits of running containers on bare metal? Chou: Many organizations deploy containers today on virtual machines or a PaaS running on-premises or in a public cloud by default. They rely on these legacy platforms to provide tooling for managing virtual machines that most IT organizations lack today. There are also benefits that stem from the ability of hypervisors embedded in a virtual machine to provide higher levels of isolation between containers. But marrying a modern emerging technology with any legacy platform always comes with cost. It's possible to run hundreds of containers on a bare-metal server, an order of magnitude more than on a VM. The number of containers that can be deployed on top of virtual machine is limited by the availability of memory and other I/O contention issues. And if you don't need a VM, well then you don't need to pay a vendor like VMware to license their technology. You get performance improvements, more application density per server, and lower operating costs if you eliminate that annual VM tax. VMblog: With the rapid rise of commodity hardware, open source software and the cloud, what can the channel do to remain profitable and relevant in this new IT modern world? Chou: Most channel partners generate much higher margins for the services they provide than they ever do reselling a commercial product. Managed service providers, much like cloud service providers, loathe to have to pay for commercial software simply because the scale of their operations often make commercial software in the form of a "VMware tax" cost prohibitive. And today most enterprises have adopted an "open source first' mantra when it comes to software for similar reasons. Not only has the quality of open source software substantially improved in recent years, well-governed open source projects tend to innovate at rates that no one single vendor relying on a commercial alternative can keep pace with over an extended amount of time. If the end customer is spending less money to acquire software, it stands to follow there is more of the total available IT budget to be allocated to either acquiring additional hardware or higher-margin services provided by the channel partner, even though overall IT budgets are generally shrinking. Regardless of the outcome, the channel partner winds up with a larger percentage of the available IT budget.